The Nokia X71 is a photography-first smartphone boasting a 48- plus 5- plus 8-megapixel triple main camera alongside specs like a 6.4-inch 19.3:9 display and a 16-megapixel selfie cam. The Huawei P30 lite is a semi-high-end smartphone rigged with specs like a triple-lens primary camera, a high-caliber 32-megapixel selfie cam, and a Mali-G51 graphics engine clocked at 1GHz. The 2019 Samsung Galaxy A40 is a selfie-focused mid-end smartphone offering a high-resolution 25-megapixel selfie cam alongside specs like a 64GB memory expandable by up to 512GB and a 5.9-inch 1080p Super AMOLED screen. 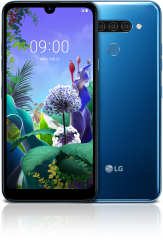 The 2019 LG G8s ThinQ is an upscale smartphone whose Air Motion touch-less interaction technology is accompanied by specs like a 2.84GHz octa-core engine and a triple-lens primary camera. The LG V50 ThinQ 5G is a flagship-class 5G-ready smartphone boasting specs like a 6.4-inch OLED 19.5:9 screen sitting on a pixel density of 538ppi, an eight-core engine peaking at 2.84GHz, and a triple-lens main camera. The Nokia 3.2 is a middle-class phablet offering specs like a sizable 4000mAh battery, a wide 6.3-inch 19:9 HD+ (720p) screen, and a 32GB memory extendable by up to 400GB. 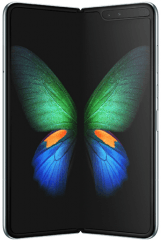 The Samsung Galaxy Fold is an innovative (as of 2019) foldable phablet whose biggest specs include a 7.3-inch Dynamic AMOLED main screen accompanied by a 4.6-inch cover display, a monstrous 12GB RAM, and a triple-lens primary camera. The Coolpad Snap is a basic flip phone offering specs like a 2.8-inch main display, 4G network connectivity, and a 4GB memory accompanied by a 32GB memory card slot. The Huawei nova 4E is an imaging-first smartphone banking on specs like a triple rear camera (Its main cam is a 24-megapixel lens), an auspicious 32-megapixel selfie cam, and a 6GB RAM. 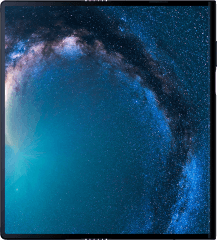 The Huawei P smart plus 2019 is a mid-level smartphone whose key specs include a three-lens main camera, a 6.2-inch 19.5:9 FHD+ (1080p) screen, and a 64GB memory expandable by a maximum of 512GB. The Samsung Galaxy J2 Pure is an entry-level smartphone geared towards basic Android users, with a 5-inch 540p Dragontrail-Glass-finished display, a 16GB memory extendable by up to 512GB, and an 8-megapixel camera leading its specs. The Alcatel 1S is a budget-class octa-core smartphone equipped with specs like a 5.5-inch 18:9 HD+ (720p) display, a dual-lens camera, and a 3060mAh battery boasting a 37-hour calling time. The Samsung Galaxy A10 largely caters to first-time smartphone users, listing a 6.2-inch 720p HD+ display, a 32GB internal memory expandable by up to 512GB, and a basic 13-megapixel main camera among its specs. 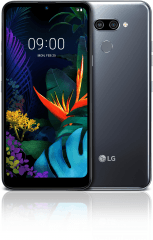 The 2019 LG K50 is a large-screen middle-class smartphone offering specs like a 6.3-inch 19.5:9 display, a MIL-STD-810G-rated drop-resistant housing, and a 32GB memory accompanied by a generous 2TB memory card slot. The LG Q60 is a mid-end smartphone whose key specs include a 16- plus 2- plus 5-megapixel triple camera, a 64GB memory expandable by up to 2TB, and a drop-ready MIL-STD-810G-certified exterior. The Xiaomi Redmi GO is a low-end Android Go (based on Android 8.1 Oreo) smartphone delivering specs like a 5-inch 720p display, a 3000mAh battery, and a 16GB/8GB memory expandable by up to 128GB. The ZTE Visible R2 is a budget-class smartphone offering the all-in-one Visible app for carrier services together with specs like a 16GB memory expandable by up to 2TB and a 3200mAh battery scoring a 24-hour talk time.